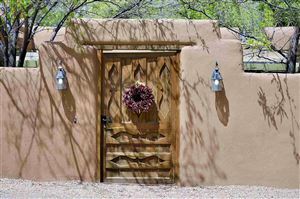 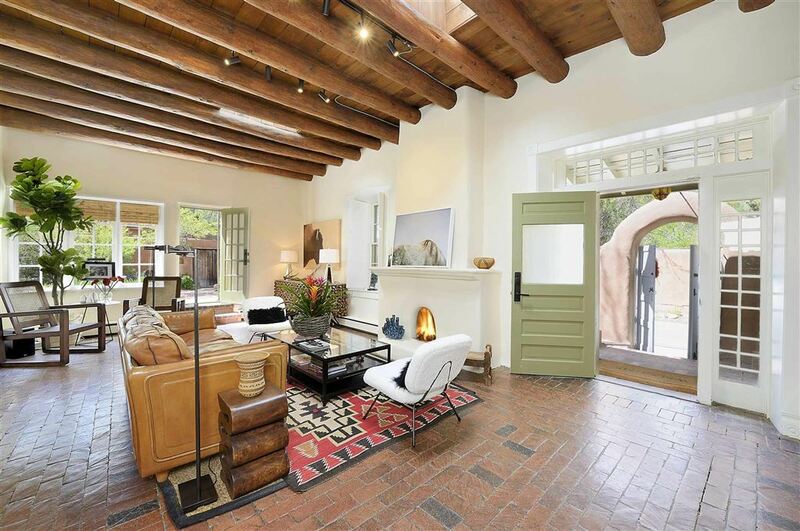 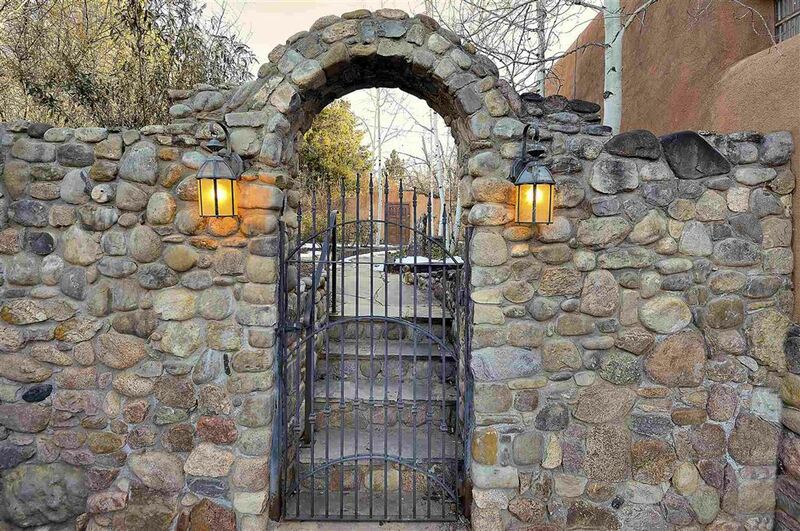 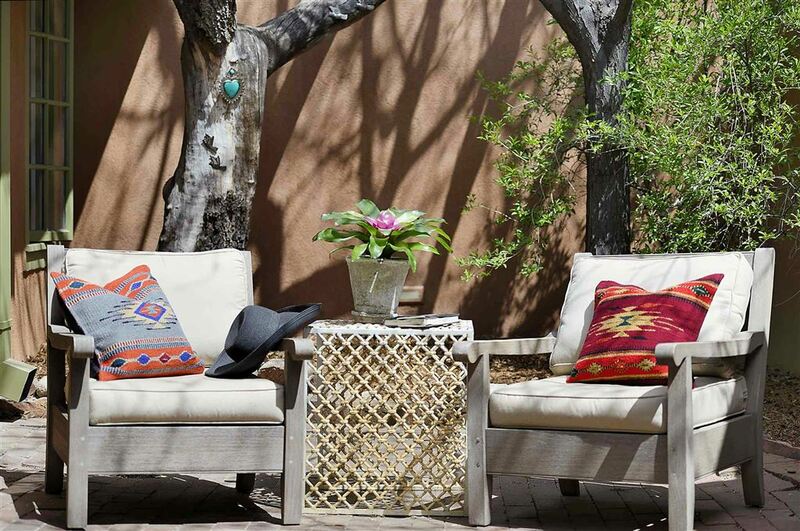 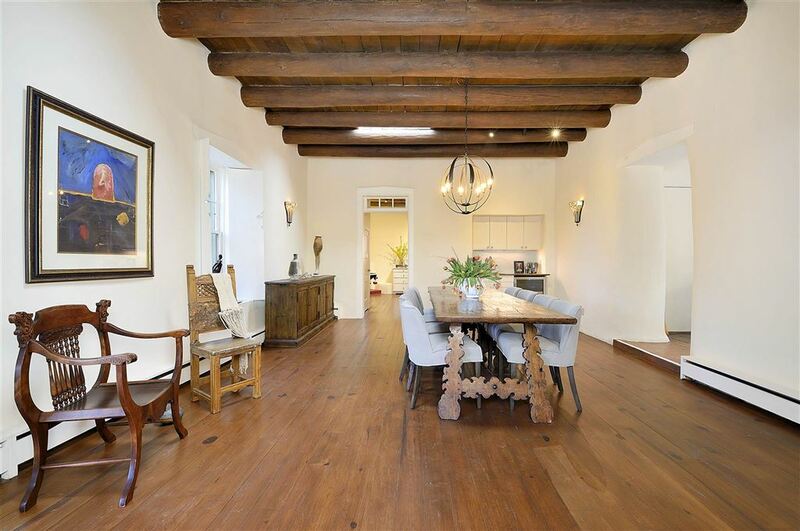 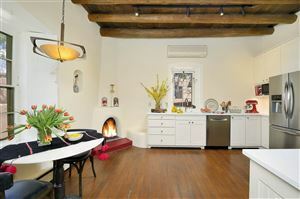 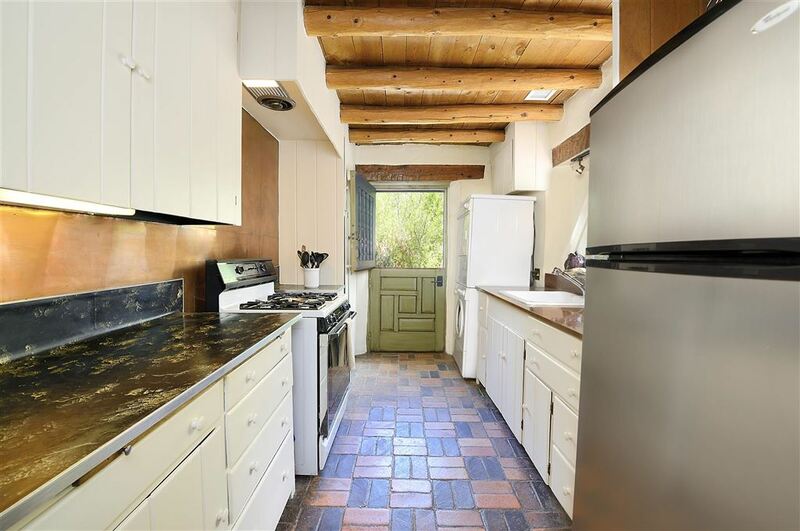 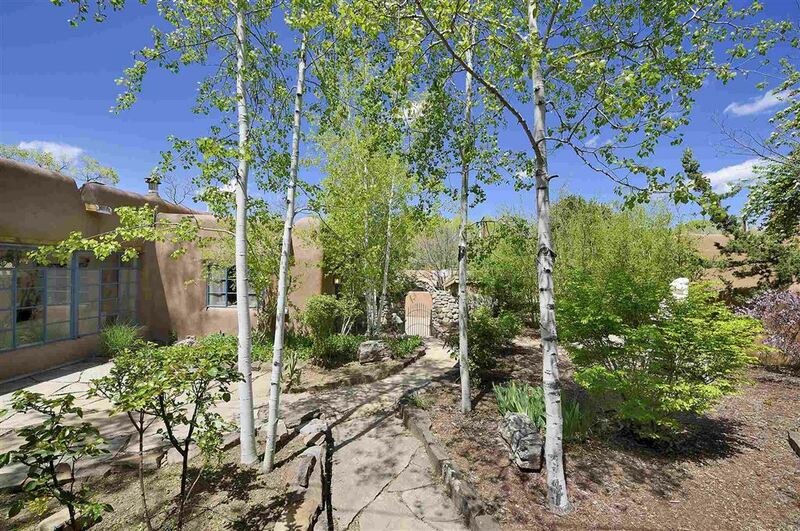 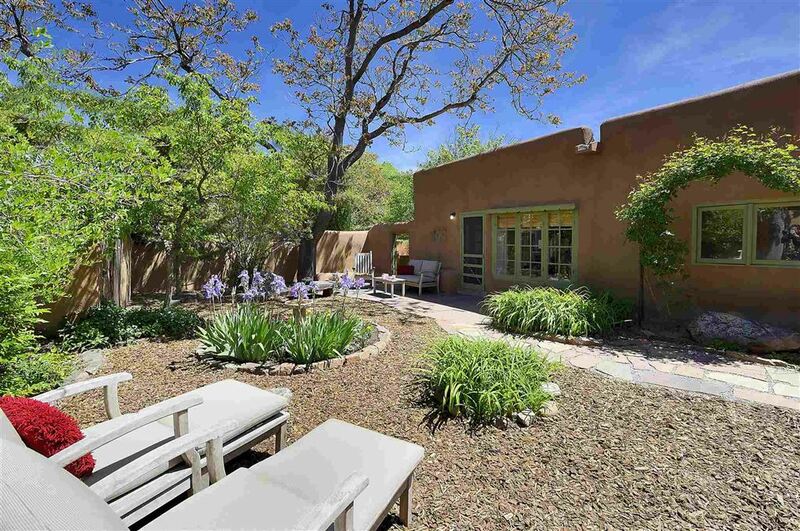 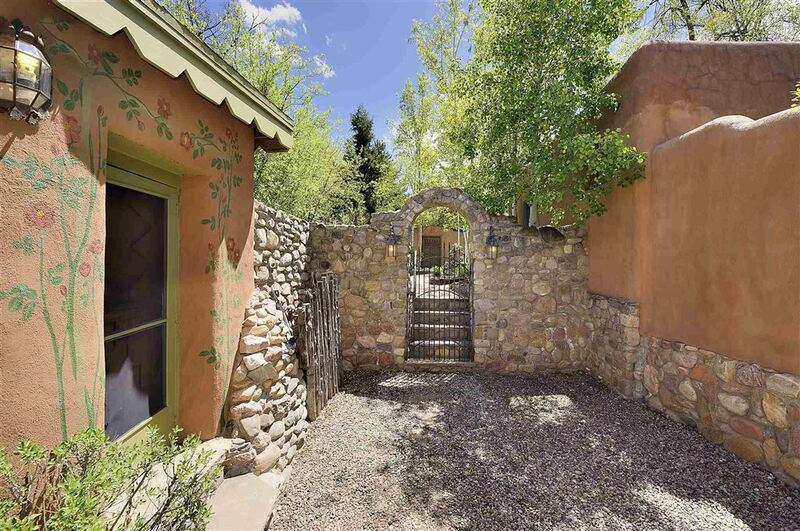 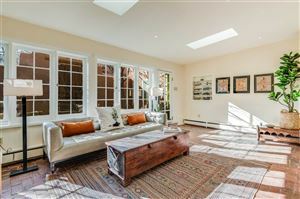 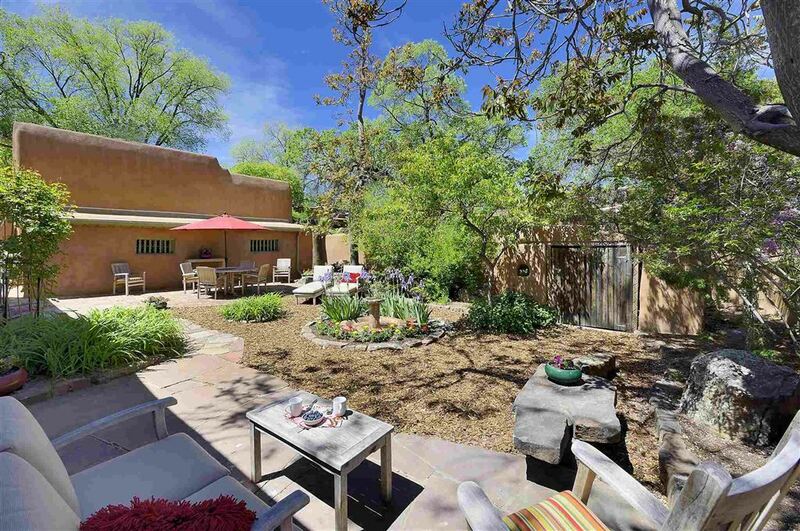 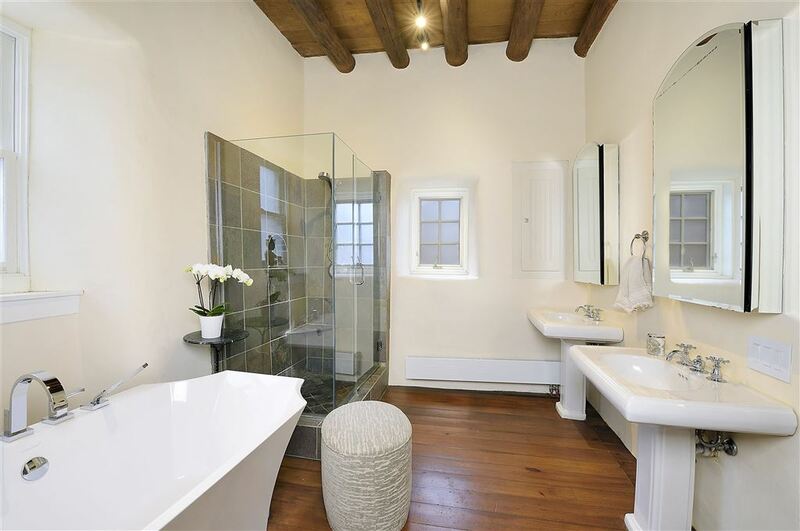 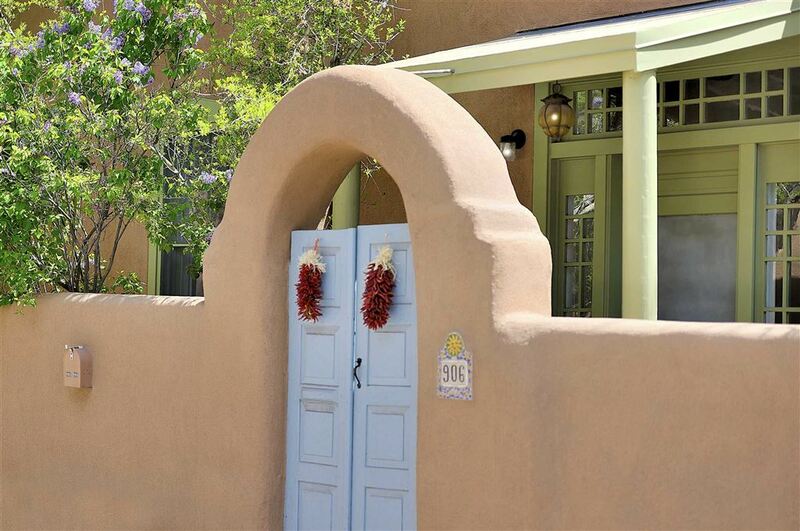 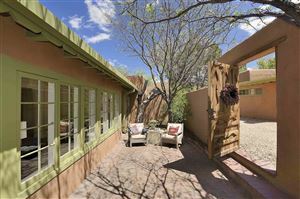 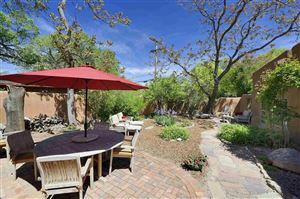 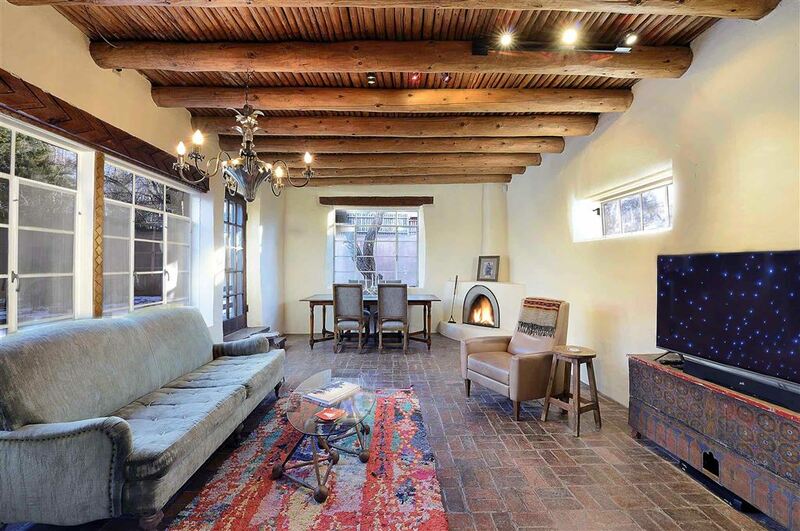 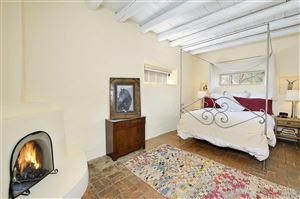 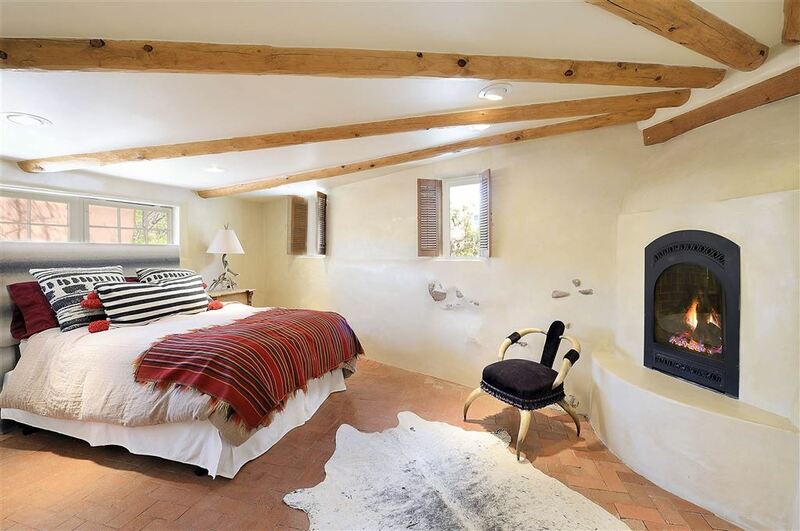 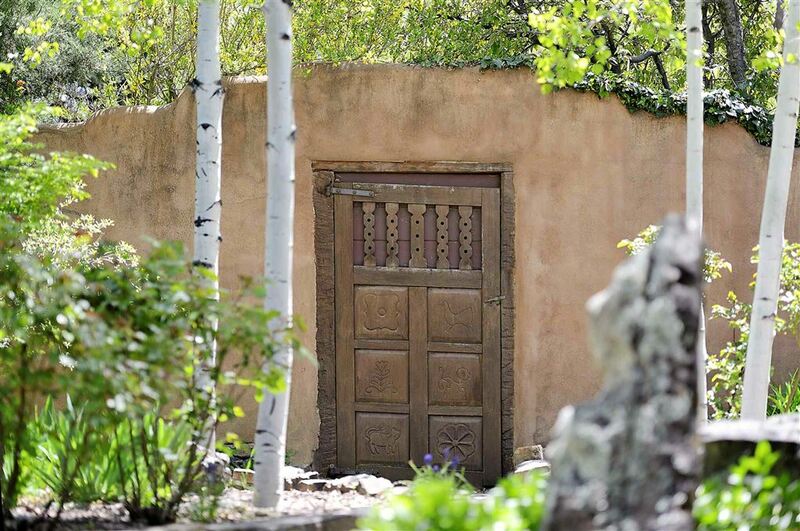 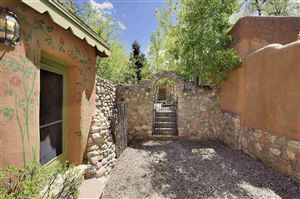 A rare opportunity to own this adobe 4 bedroom 5 bath compound in the midst of the Canyon Road’s magical mile in Santa Fe’s historic arts district. 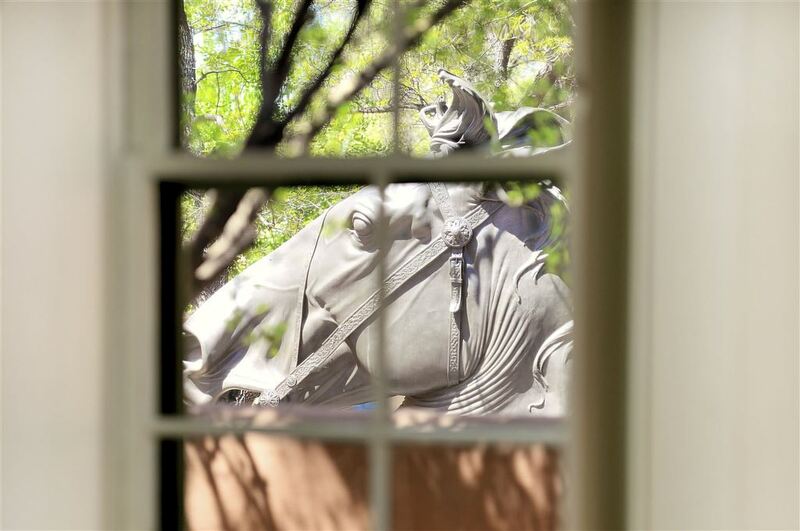 Experience fine art, great shopping and world class dining any day of the week. 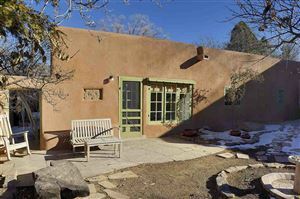 Comprised of three separate structures, this compound affords space for multiple living options or gallery/studio space. Entering the main house, you will encounter a generous living/dining area with brick floors, high beamed ceilings and a sizable kiva. 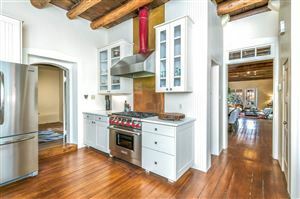 The well-appointed kitchen has new (2018) appliances including a Wolf range, a Bosch dishwasher and a Sub-zero refrigerator. There are two bedrooms and three baths in the main house. 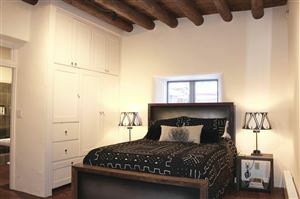 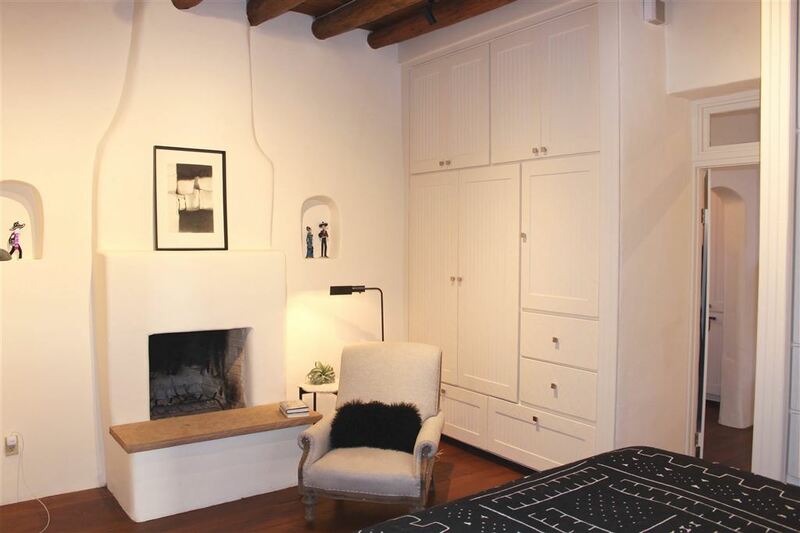 Stay snug in the winter in the master suite with kiva and a wall of built in closets and drawers. 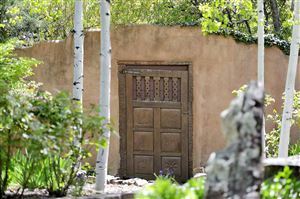 The guesthouse offers privacy and comfort for visitors with a bedroom, bath, kitchen and living/studio area, washer/dryer plus its own walled garden and old growth trees. 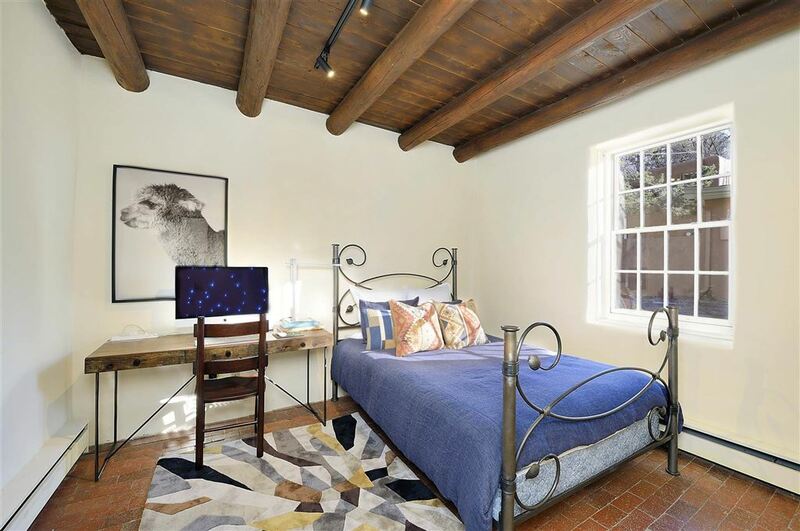 The original well house has been cleverly adapted into a charming casita and the historic hand dug well has been uniquely preserved and is a delightful visual accent to the casita. Extensive repairs and remodeling were done by the current owners in 2018 including new Brai roof on both main/guest house and outbuilding, skylights, updated baths, solar panels on main/guest house and new stucco all done per historic preservation guidelines. Off street parking and storage out buildings complete this exclusive property. 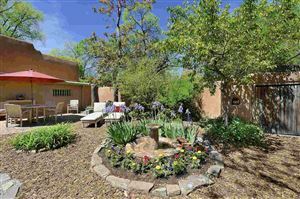 Zoned for residential/commercial use.